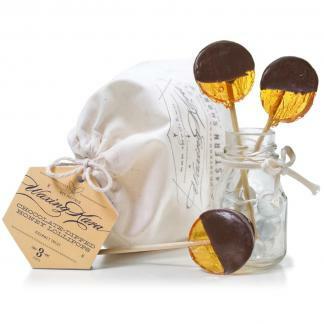 Try 3 honey lollipops in this sampler! With our Honey Lollipop Sampler you can try each of our lollipops and decide which is your favorite. Lavender, Cinnamon, and our original Honey Lollipops make a perfect sweet treat to brighten your day. 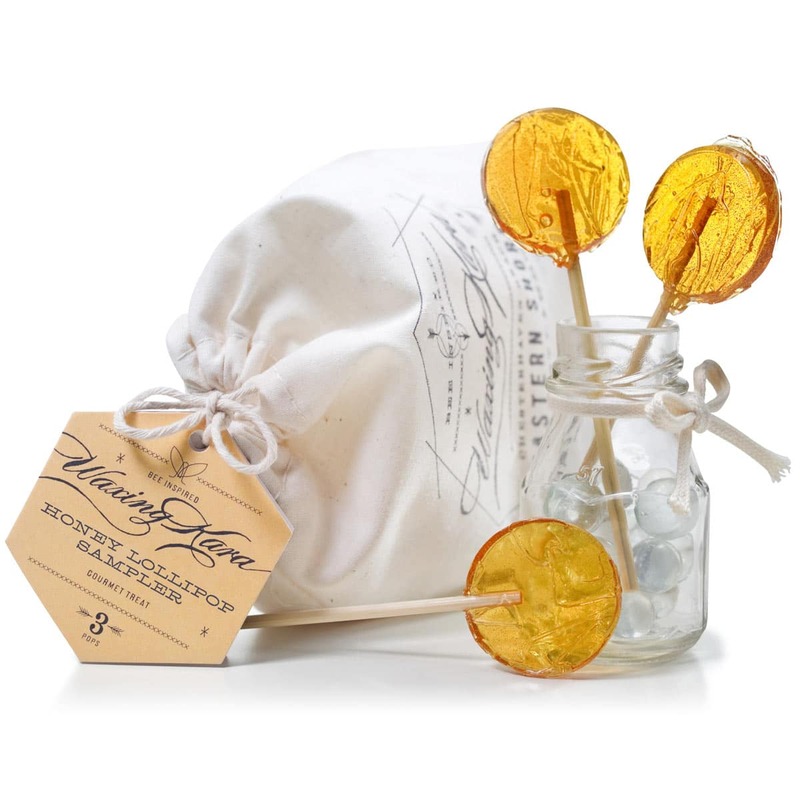 Soothe a scratchy throat or sweeten your tea on the go with our handmade Honey Lollipops. 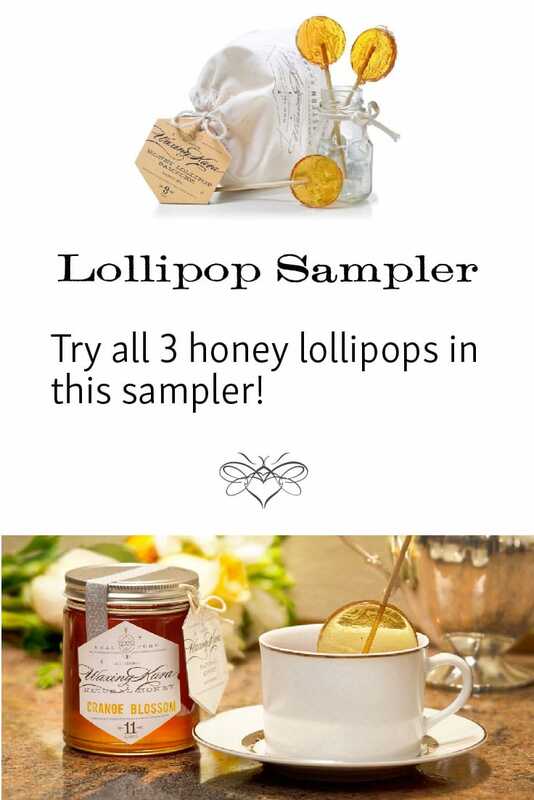 With our Honey Lollipop Sampler, you can try a few of our flavors and decide on a favorite. Lavender? Cinnamon? Or just plain Honey? Let us know what you like the best! Great for a scratchy throat or an afternoon treat. These lollipops also make a great gift for co-workers, teachers and your best friend. Looking for other flavors of our Honey Lollipops? Chocolate Dipped, Lemon, and Bourbon make special treats, too! Ingredients: Honey Lollipop: Pure Cane Sugar, Waxing Kara Honey, Corn Syrup (not the high fructose kind). Cinnamon Honey Lollipop: Pure Cane Sugar, Waxing Kara Honey, Corn Syrup (not the high fructose kind), Cinnamon. Lavender Honey Lollipop: Pure Cane Sugar, Waxing Kara Honey, Corn Syrup (not the high fructose kind), Lavender buds.